At 52.7°, the Grosperrin Millesime 1977 Grande Champagne Cognac is a delight that will thrill even the most sophisticated of palates. This wonderful vintage from the mid-1970s is a wonderful representation about all that makes the Grande Champagne terroir the most sought after in the region. 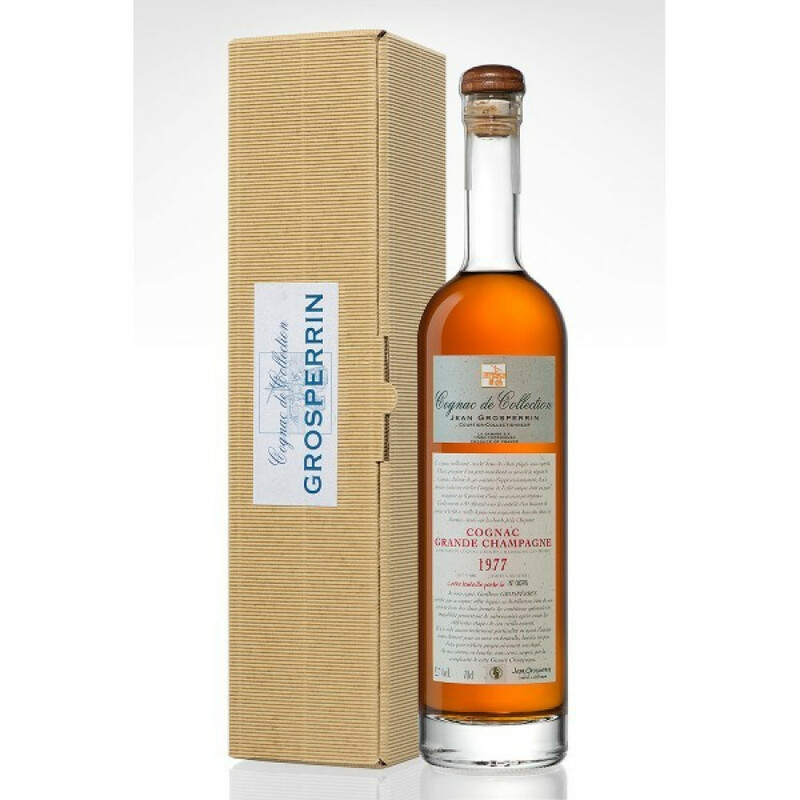 And Jean Grosperrin Cognac have managed to create this Cognac at a price that belies its quality - extraordinary value for money. This independent Cognac house excels at producing only the finest and the oldest of Cognacs - and this one is certainly a great introduction to the house if you've yet to sample their wares. Expect the Cognac itself to do the talking, as Grosperrin shun any fancy bottling - they know that their creations don't need any titilation. It's tradition all the way, with a simplistic bottle, informative label, and a cardboard presentation sleeve. A great Cognac, and one that's sure to see you return to sample more of this unique houses' products in the future.